Travelling to Australia is easier than what others might feel. 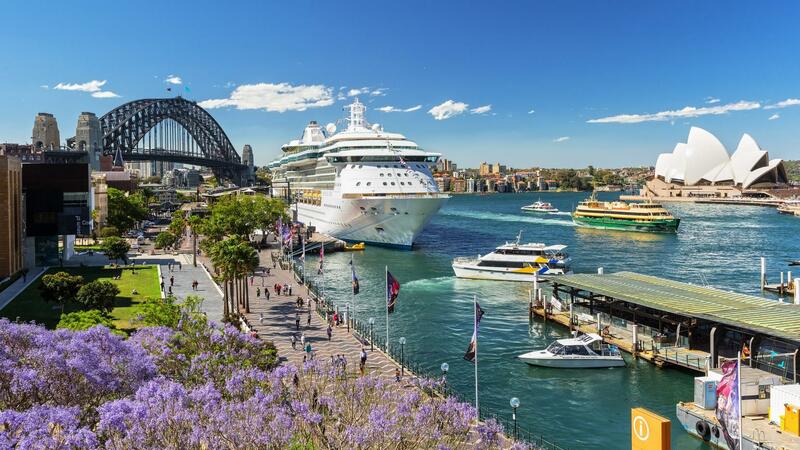 Known for its liberal travelling culture, Australia has become a hottest destination for travelers around the world. The country is the world`s sixth largest continent in the world and no matter wherever you choose to start travelling, you might meet lot of people who are on a similar expedition like yours. If you have received your online Australia ETA, you might want to dig deeper inside the country. So if you are travelling solo then the country is a perfect place to begin with, as most of the people are friendly and kind. Oz is great for those who are travelling here for the first time as there are plenty of hotels, hostels and restaurants. Thus, you can get great accommodation and great food along with people who speak English to keep you company in discovering spectacular places. See the waterfalls at Atherton Tableands or take a scenic route via railway through the Daintree National Park. The Great Barrier Reef which is the eight natural wonder of the world runs along the Queensland coast and is a great spot for diving and snorkeling. An oasis of rare coral and reef, it is a great metropolis of aquatic life. If you have no technical skills, introductory dives are available from Fitzroy or Green Island to give you a unique experience of the reef. Magnetic Island is a perfect location for hiking and is just a boat away from Townsville. They say the place is so captivating that once you come here, you wouldn’t want to leave. Next is the Fraser Island which is definite must see with huge sand island and stunning lakes, where you can drive along the beach. You can have the ultimate camping experience here but beware of the tiger sharks and dingos. The Airlie Beach can give you an amazing nightlife. You take a sailing trip around the islands of the Whitsundays later on. Famous for its sporting events, Victoria is the right choice for the adventure junkies. With its four seasons in one day you’ll feel more at home in Melbourne but if you’re looking for a more holiday-feel then go to St Kilda by taking a tram. Here you can sit al fresco and watch people roller blading along the promenade. From here you can cruise along the Great Ocean Road, one of Australia’s epic drives. Bells Beach is en route and has great sites and point breaks and was actually the setting of the film with the same name. Off the coast of Melbourne is Tasmania, which has so much to see. Sydney is located in South Wales and is not the capital city of the country. 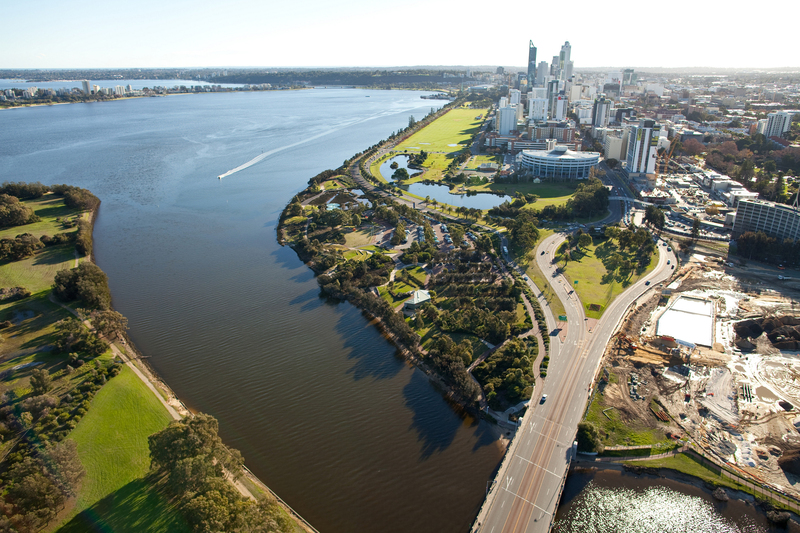 Due to its popularity most of the people believe that it is the capital of Australia but it has everything you would expect to find in one. The capital of Australia is Canberra which is a 250km inland and is a stunning place with the Parliament Building overlooking the lake, making it the epicenter of the country. Sydney Opera House and Sydney Harbour Bridge is a must see. Famous for their iconic architecture, these landmarks will reveal themselves to give you an unforgettable memory. If you like shopping then there is Paddington market which you are going to love as it is reminiscent of Covet Garden. Surfers would be delighted to know about Bondi-Australia`s one of the most famous beaches. Bondi is popular but the waves of Coogee Manly and Bronte are just as good. For more secluded beach, head to Dee Why Beach. 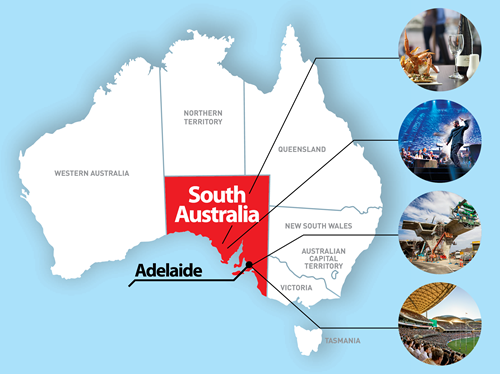 Adelaide which is the capital of South Australia offers plenty of activities to do in and around this city which has a country-town feel. Get out into the Adelaide Hills to see waterfalls, fairytale villages and the world’s largest rocking horse. Kangaroo Island is located about 90 minutes from the mainland where you can get up close and personal to sea lions on Seal Bay. You can also get into wildlife safari to educate yourself more about the Australian animals. The beach-side suburb of Glenelg is worth a stroll while if you don’t fancy getting any tan lines as you sunbathe, Maslin Beach is the place for nudists. Fremantle is a lively city with markets buzzing with crowds, artsy stall and tourists. The main attraction of the city is the old prison which gives you astonishing details about the prison life. Despite many people migrating from the region, Kimberley is worth travelling place. Known for its pearling industry, it has various rugged red cliffs. Also a great place to sleep under stars, if you are travelling to the country during Christmas, you may find Santa jet skiing along the Sydney Harbour. It is quite impossible to see all of Australia`s sites in a single trip unless you are staying for a long time. Most people when they solo travel in Australia start with Sydney and travel their way up the coast. Within two weeks you can travel from Adelaide to Darwin or Sydney to Cairns. 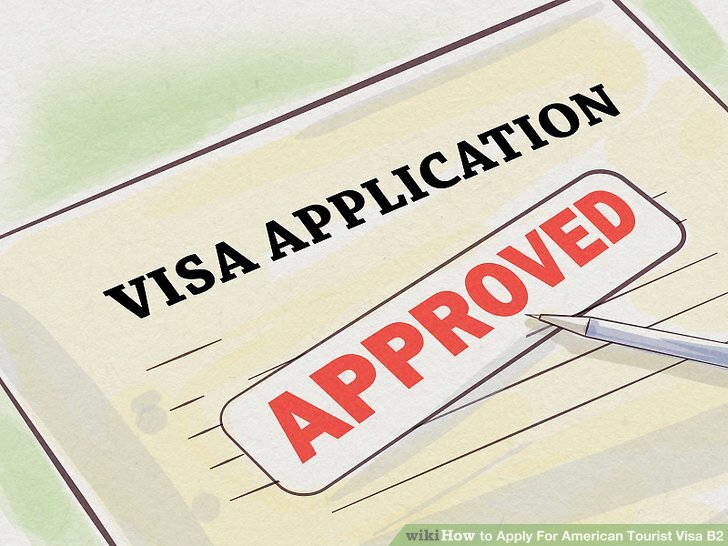 For a tourist visa, transit visa or a business visa, one can complete Australia Visa Application Form by going to our website www.australiae-visa.com. Provide your correct details and submit the application along with the applicable visa fees. Once the process is initiated you may receive your Online Australia ETA in few hours or days, depending on the type of visa. For more information kindly visit www.australiae-visa.com!